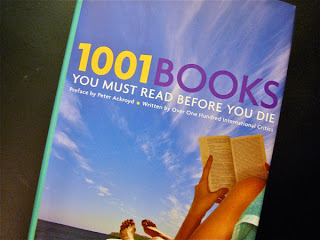 Last Christmas my wonderful sister gifted me one of my favorite books I own; 1001 Books You Must Read Before You Die. The book lists and reviews the best 1001 books ever written - which of course is never set in stone and in this case, the list is determined by the authors of this book. Then I signed up for the 1001 Books Challenge hosted by Pub Writes, in which I set a goal to read at least 16 more books from the books listed on the 1001 books list. Well, I managed to knock out 20 (21 after I finish them) out of the 54 books I have read so far this year. I was on a roll at the start of the year and then waned a little, mostly because I started to read more new releases. Prior to January 2011, I had read 60 books total on the list. Ben from Dead End Follies encouraged me to bring that number up to 100 by the end of 2011 and clearly, that won't be happening. But, I'm happy to have completed my goal of 16 and then some. So there you have it. I'll check back in next year! I have this book too - the revised edition and I LOVE it. I keep a running list of what I've read so far - I think I'm almost at 50 read total. So you are rocking the list! Way to go! I bought a copy of this with a giftcard a few years ago. Since then it's been one of my favorite bookish traditions to curl up with it at the end of December each year. I get out a pen and highlighter and go through and mark each of the ones I read that year. I've found some amazing books and others that didn't work for me, but I can't wait until I get to check off the final book... it won't be any time soon. I kind of really really want this book- I think I have the list (I have *a* 1001 books to read before you die list, anyway) on my computer, but it's really not the same! Also: So many wonderful books you've read this year! Amazing! I've seen this book and enjoyed looking through it. You did great knocking some good books off the list. Awesome job on the challenge! You read some amazing books this year! I failed at my own challenge, but that is okay. I got to read great reviews of books I would have missed otherwise. i plan on hosting again next year! I'm such a sucker for this list! I have a list that includes the choices for all three editions, so there are even more than 1001. I would like to get a copy of the book, but I haven't yet. I checked it out of the library once, but it's not the same. I decided that my goal is to read only half of them. Like you, there are some I'm just not interested in! Good going! 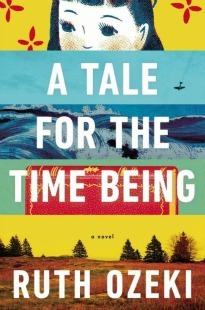 I think it's good to balance new releases with some classics and recommended contemporary fiction. It's all about balance right? Some of my all-time faves are on the that list (Reluctant Fundamentalist; Bell Jar; On Beauty) as well as plenty of TBR's! I do love book lists, although I have a hard time reading because of them! However, almost all the books on your list seem really great, so I'm curious about checking out this book! Well hey, check out your impressive list! Good job getting through those, madam. Well done, good job!! And good reads. I personally really enjoyed "The Collector" by John Fowles. Well done! I love this book, too. I have this book too (but a different edition) and I'm always disappointed when I read what I think is a classic but it's not in there - My Antonia by Willa Cather is not in there and neither is Villette. I've only finished 28 on that list, although there are quite a few on my to-read list. Maybe I should make a goal to read some of those in 2012. I usually view lists like this with a hint of suspicion, because "what makes books good" is a very objective topic, one that can't be decided by a small number of people. This list sounds very interesting though and doesn't even look pretentious. Must look it up soon.